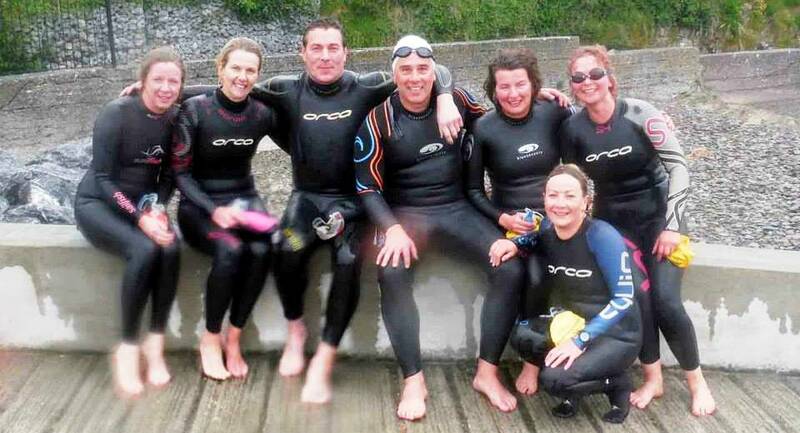 Tuesday evening, June 3rd, in the rain and an unpleasant chop, eight swimmers did a great swim from Myrtleville to Fountainstown. Presumably with this excellent qualifier, those who haven’t done so will now be submitting their entries for the Church Bay swim on June 28! Well done to all. Amy Barry-Murphy, Fiona Gough, Andrew Gough, Sean Foley, Barbara-Anne Richardson, Siobhan Russell & Ger Venner – with Michelle Glossop Smyth behind the camera. 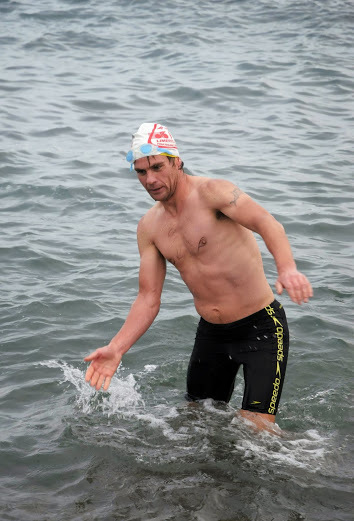 While we’re on the congratulations topic – year-round swimmer, James Slowey, ditched his wetsuit and finished 22nd in the Cork City Marathon last Monday in a fantastic time of 2hrs 52mins. He says the secret to his success is doing all his running training in the water. Here he is completing a water run in preparation for the marathon. James Slowey – secret water-running training.